Self-driving cars are the new craze and all the folks on the block be it the OEMs (Original Equipment Manufacturers) or major tech companies, are rising up to take this autonomous challenge head-on. The competition for Advanced Driver Assistance Systems validation (ADAS validation) is intense in the sector. ADAS (Advanced Driver Assistance Systems) is an integral part of it and ADAS validation is definitely a strategic issue. ADAS is designed and implemented to provide that extra comfort to drivers and the vehicles equipped with it are getting more and more popular. The general safety of the vehicle has always been the responsibility of the manufacturer and installing these ADAS functions should not change that. The demand for ADAS, especially those helping with monitoring, braking warning, and steering tasks, is rising with each passing day, and it’s only expected to surge phenomenally over the next few years. It’s so primarily because these applications protect the drivers and help in reducing the probability of accidents. A substantial number of current ADAS applications are based on vision systems. The other common applications are the detection of pedestrians or obstacle, which instigate functions like automatic emergency braking. These systems help in protecting the road users. In fact, the new Euro NCAP protocols and the US have mandated that all vehicles should be equipped with a forward-collision warning and emergency-braking systems. A survey by McKinsey also indicates that buyers are showing a keen interest in ADAS applications like parking assistance and monitoring blind spots. ADAS validation requires a huge amount of annotated video data so that varied driving scenarios are covered comprehensively. It is not a mean task to generate video content for varied geographies, terrains, traffic scenarios and weather. And, generating alone is not enough. You need manual annotation of that for algorithm validation. This is still posing a challenge for the companies and billions of testing hours and money are spent on it, but no fool-proof solution has been achieved so far. ADAS applications are still in their nascent stage. The OEMs, however, do realize the importance that these ADAS validations will play in differentiating the automotive brands in future. It is going to be one of the most important revenue sources and hence the reliability of ADAS functions cannot be neglected. Car manufacturers are working constantly to ensure that the robustness of ADAS validations of functions running on their vehicles is perfect. 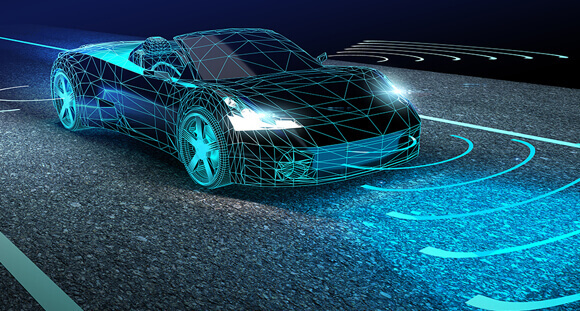 Designing and implementing the ADAS applications are not simple but quite complex. This is because an infinite number of parameter combinations are required based on image sensors for the usage profile of functions. For this to happen seamlessly and perfectly, there’s a need for testing optimization methods. There should be some standards in place, in order to support the ADAS validation and design phases. The resources that are required for ADAS validation currently induce strong dependability requirements. For instance, if a camera-based ADAS is to be tested, then the test vehicles equipped with this testing system are made to drive for long hours and this testing can go on for years. The ADAS applications of today can pave the way to fully autonomous vehicles of the future. The OEMs and tech giants have realized the potential this technology has and are focusing on its research and development in a big way. Many semiconductor companies have also jumped onto the bandwagon and are either developing ADAS products or are offering them. They have realized that the one who gains early support will reap the benefits once the self-driving cars reach the market. Again, it’s a new technology and everyone is working keeping in mind the potential it has and assuming that consumers will take it positively. As is the case with any new technology, the uncertainty about the market will persist until it reaches the consumers. They may love it or can simply discard the whole idea of a computer taking control of steering or other critical driving functions. Right now, all investments made in ADAS technology are based on the potential it offers to transform the automotive sector. The current annual revenues from these applications are negligible when compared to other automotive systems like audio and telematics. Experts feel that this is because ADAS applications are still in nascent stage and refinement of the systems is in process. Also, they are currently available in vehicles from the premium sector and consumers by and large lack awareness about them. Once these things get fixed, there will be good demand for ADAS applications undoubtedly.